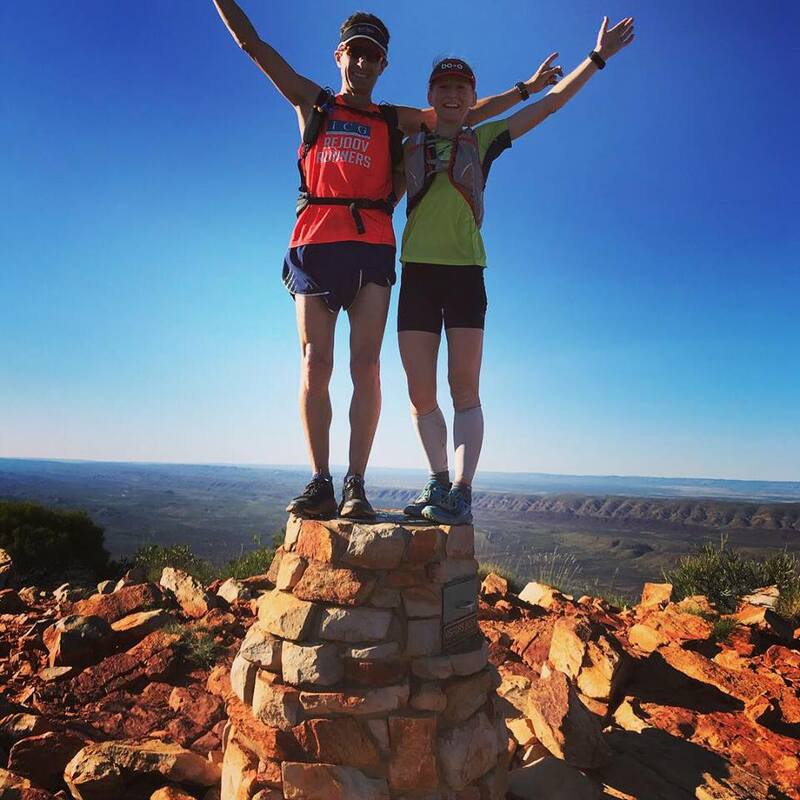 A successful debut Rejoov running getaway on the Larapinta Trail Easter 2018. 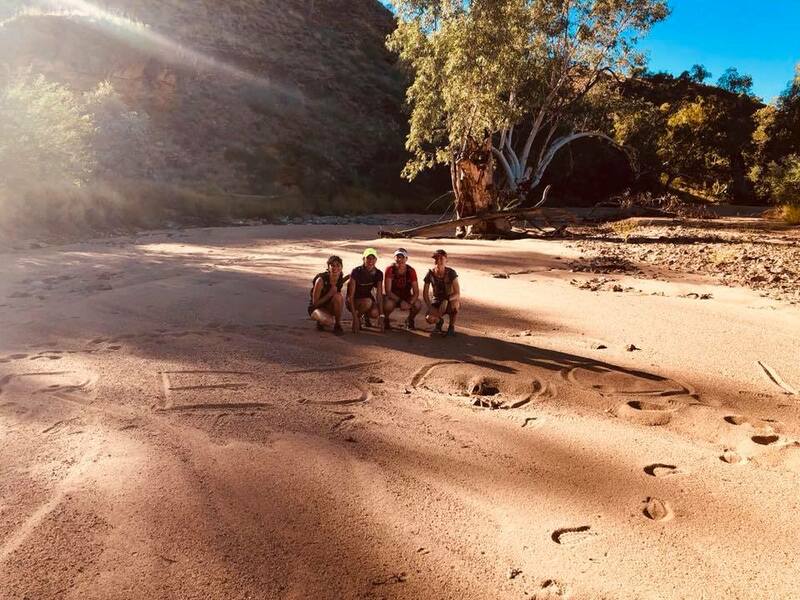 Over 60-90km completed by these Larapinta Legends for 4 days of rugged, spectacular trails in hot conditions. Chris, my Dad Glen Auricht & I enjoyed sharing the unforgettable experience with everyone. The group rose to the challenge and blew us away with their strength & determination every single day. Safety was paramount so we had sat phones, EPIRBS, walkie talkies, a permit from the National Park who had our exact itinerary, buddy systems, whistles, sweepers, plenty of food and hydration, top first aid equipment etc. The Reptile Centre taught us what is out there and how to apply snake bite compression bandage (not required phew). Thanks sponsors Tailwind hydration, Hoka one one & ICG. Larapinta trail is 223km long, but 231k includes the return back down Mt Sonder (1380m). Section 1 opened in 1990 and all 12 sections completed by 2002. Larapinta means Finke River in Arrernte Aboriginal language. The terrain was very different along each section of the Larapinta trail. 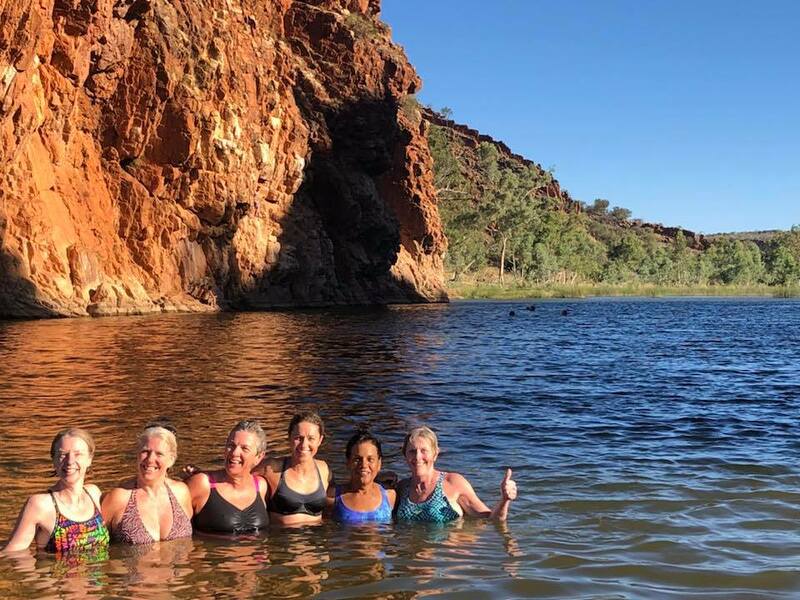 We enjoyed swimming in 4 different big waterholes along the way (Ellery Big Hole, Ormiston Gorge, Red Bank Gorge & Glen Helen Gorge) especially after the runs! We stayed at Glen Helen “outback” resort for 2 nights set right on the hugest waterhole of all, so deep no one has ever claimed to touch the bottom!